Going green is something I’m pretty passionate about. I prefer to use chemical-free cleaning supplies and frequent my neighborhood farmers market for local, organic food. I recycle almost fanatically and create as little waste as I can (disposable plastic baggies and water bottles were banned in my household long ago). But I’m going to be completely honest here: When it comes to beauty products, I’m too often willing to turn a blind eye. And I know that has to change! Lauren first introduced me to the Beautycounter brand a couple months ago, and it’s become a fast favorite of mine (you may remember it from her What’s In My Makeup Bag post). All of their products contain only the safest ingredients, and are free from toxins and scary chemicals. I use both their tinted moisturizer and concealer, and I was so pleased to find that they blend just as well as the conventional makeup brands I used to use. 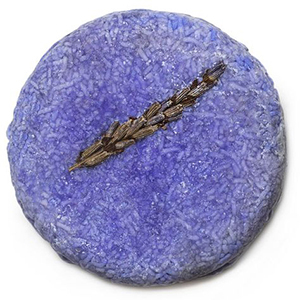 If you’ve ever been in a Lush store, then you know that they have a wide range of colorful, delicious smelling (and sometimes sparkly) bath products to choose from. But what you might not realize at first is that many of their products use fresh, ethically sourced ingredients with as little packaging as possible. I’m a particularly big fan of their “naked” solid Shampoo Bars, Conditioners, and Massage Bars, which are free from packaging, saving millions of plastic bottles from being produced every year. 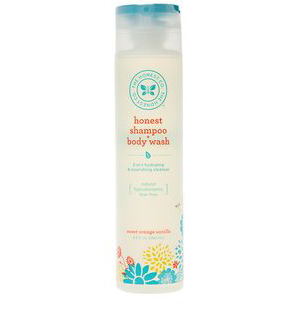 The Honest Company may be known for their natural baby and cleaning products, but their bath & body collection is starting to get some major buzz. My personal picks are the shampoo + body wash (it’s so hard to find a biodegradable, SLS-free shampoo that actually lathers well) and the spa-worthy lavender vanilla-scented body scrub. Then there’s The Honest Co.’s organic healing balm. 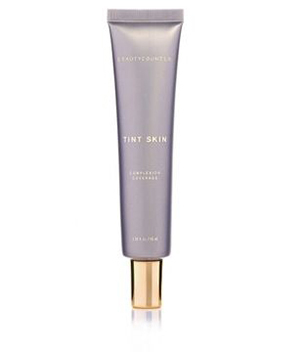 It was originally developed for the baby product line, but it’s a cult favorite among beauty editors. Olivine Atelier’s chic and beautifully packaged products are some of my go-to gifts for girlfriends. From natural perfumes to luxurious lotions, they’re the kind of products that you’ll want to display front and center on your vanity. It’s the icing on the cake that Olivine’s products are all cruelty-free, organic when possible, and use eco-friendly glass packaging. My No. 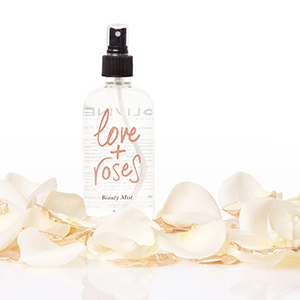 1 pick: Love + Roses Beauty Mist to soften skin and hair. It’s only natural that you should have an eco-chic cosmetic case to store all of your eco-beauty picks. 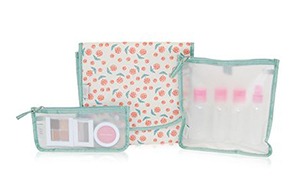 I love all of the adorable printed beauty bags from Lauren’s XO(eco) line. All of the products in the collection are made from 50 percent post-consumer recycled bottle fabric, and a percentage of the profits go to ocean conservation. Bonus: You can get 25 percent off the entire line through April 30 with the exclusive promo code LCEarthDay25! 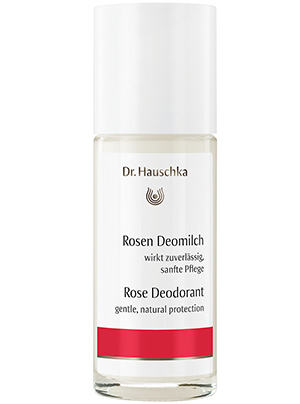 I discovered Dr. Hauschka after a long search for a natural deodorant that actually works. Not only is it extremely effective, but it also comes in the most divine rose and sage scents. They also have an amazing range of skin care and makeup products for every skin type. S.W. Basics is a line of natural skincare products made in Brooklyn. The number of ingredients in each product is prominently listed on it’s label, with the philosophy that fewer ingredients equals gentler skincare. 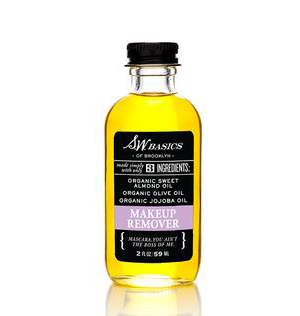 Their makeup remover, for instance, sports a “3” on the bottle and contains only organic sweet almond oil, organic olive oil, and organic jojoba oil. I also love their Eco Cotton Rounds, which are reusable, washable cotton rounds to replace disposable cotton balls. 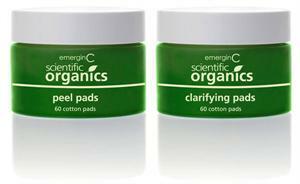 EmerginC Scientific Organics is the kind of cutting, edge results-oriented skincare line you find in a spa, only it’s made with 100 percent natural and a minimum of 70 percent organic ingredients. It’s also manufactured under a number of environmentally friendly practices. All of their products are designed to noticeably improve your skin’s texture, whether that means fighting blemishes or diminishing the appearance of fine lines and wrinkles. My aesthetician got me hooked on the At Home Facial Peel + Clarifying Kit, which is a great way to remove dead skin cells and brighten your complexion in between facials. Juice Beauty’s range of products include skincare, makeup, and hair care—and they’re all made with USDA Certified Organic ingredients that are locally sourced on the West Coast whenever possible. They also follow sustainable company practices and use solar powered manufacturing for the majority of their products. 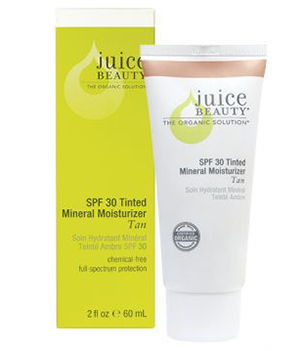 Their skincare products are great for sensitive skin since they use all natural ingredients. More and more nail polish brands are choosing to go 5-free (which means they are free of the big 5 toxic chemicals often found in polish), but Zoya was one of the first and my personal favorite. Their colors are always on trend and it lasts for days without chipping. How are you going to green your beauty routine this year? Let me know if you have any other favorite natural beauty brands! I’d love to give them a try.